Mobility specialists Obam Stairlifts sponsored the Child of Courage Award at the Heart of Lincolnshire Community Awards on 12th September. 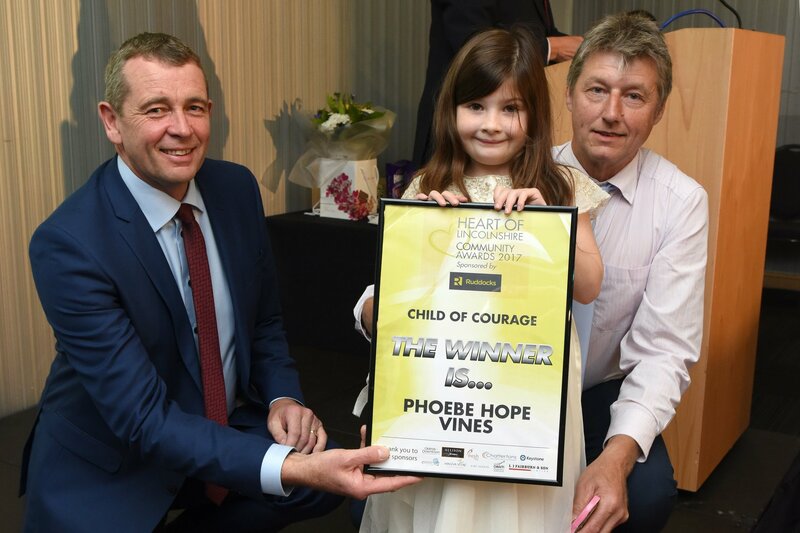 The Child of Courage winner was Phoebe Hope Vines, a seven-year-old who lost her mum to a brain tumour in June. Despite her loss, Phoebe has gone on to raise money for Brain Tumour Research and is set to lead a team on an 11-mile walk along the Grand Union Canal on Saturday 30th September. Obam Stairlifts Director Pete Morley said: “The awards are a brilliant opportunity to congratulate some of the extraordinary people within our communities, many of whom have gone the extra mile or overcome the odds to achieve something exceptional. 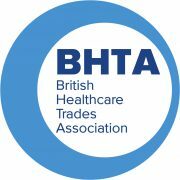 On Tuesday 12th September the annual award ceremony, which celebrates unsung heroes from communities across Lincolnshire, was held at The Showroom on Tritton Road, Lincoln. Representatives from Obam Stairlifts, based in Sturton-by-Stow near Gainsborough, attended alongside finalists in the 12 award categories, their families and other sponsors. During the ceremony, Pete also presented a highly commended certificate to Joe Fullwood and congratulated all the children shortlisted in the category. Joe (14) was born five weeks premature with health issues. At the age of three he was diagnosed with autism and at 10 with Duchenne Muscular Dystrophy. Pete was accompanied by Libby Gault and Keith Manning from the Obam sales team and fellow director Lee Ogden. Lee added: “I feel incredibly humbled by tonight’s awards. It’s easy to go through your life and complain about the things we take for granted, but the children nominated for the Child of Courage Award remind us that there are people facing life-altering challenges within our community.